With the Blind and Shutter Store’s drapery selection, you can add the warmth and style of fabric curtains to your Denver home’s windows while still maintaining optimal light filtration. Draperies are a simple way to add classic style or a modern look to your space while still providing you with the best privacy and room-darkening abilities. 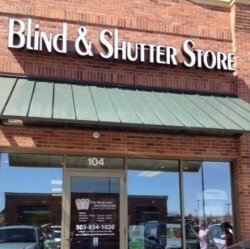 Bold patterns, strong solids, rich textures, and dramatic drapery pleats are all available in The Blind and Shutter Store’s Denver showroom. we offer a wide selection of fabric style and color options from pastel to eye-popping to suit your unique taste. Whether your style is classic and tailored or modern and sleek, we have the drapes that will transform any room into a special gathering place for you and your family. Call 303-834-1020 or fill out the form to find the window drapery that perfectly suits your Denver area home.